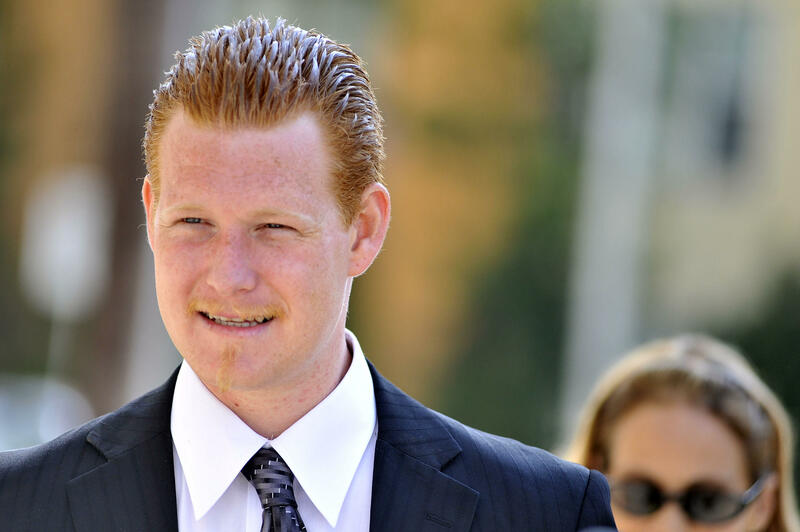 Redmond O'Neal, the troubled son of actors Ryan O'Neal and Farrah Fawcett, was arrested for allegedly robbing a convenience store early Tuesday morning, according to the Los Angeles County Sheriff's Department's website. O'Neal has had several run-ins with the law over the years. Los Angeles police told Us Weekly that O'Neal was arrested in Santa Monica. "The suspect entered the store with a knife and approached the clerk and demanded money from the register," the LAPD told the magazine. "The suspect fled store on foot … Officers found the knife and cash in [O'Neal's] possession." O'Neal is being held on $50,000 bail, but he is currently being kept in custody on a probation hold. O'Neal was arrested in 2011 for heroin possession and possession of a gun by a felon. He had previously been arrested for a DUI and drug charge in 2008. He was arrested again in 2015 for violating his parole. O'Neal has been in and out of jail and rehab centers for crimes related to substance abuse. In 2012, on the "Today" show, Matt Lauer asked Ryan O'Neal if he thought he was a bad parent. The actor responded, "Looks like it, doesn't it? Sure looks like it. I suppose I was." He continued and said, "Griffin is 45, Tatum is 49. Who's the other one? Redmond is 27. They have to take hold of their own existences."